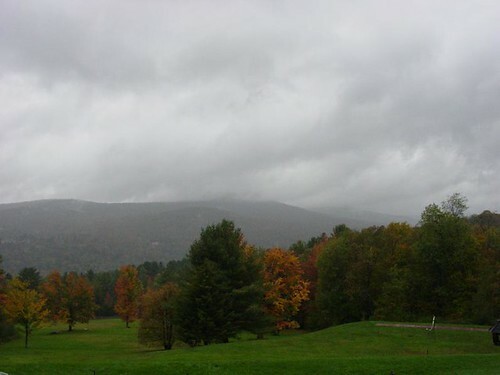 Even though Stowe has a lot of farms, most of them seem to be cow-oriented instead of wool-oriented. 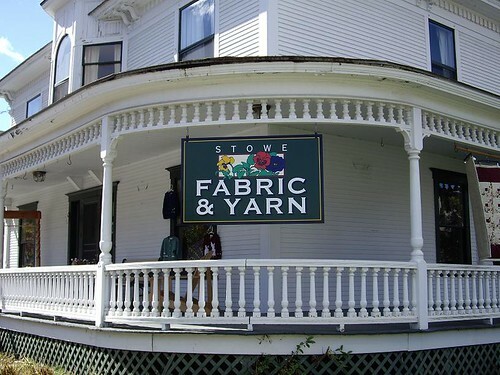 I did find two “LYS” in town that were primarily quilting shops rather than a yarn shop. Unfortunately, Kaleidescope Yarns was not close enough for a visit, but maybe next time! 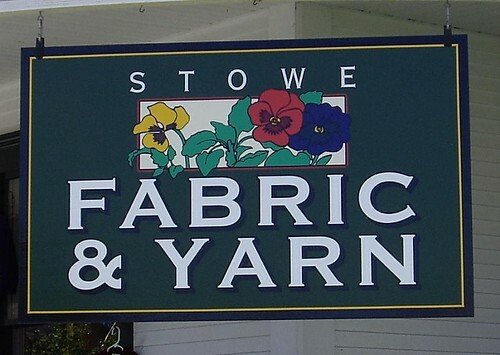 When we dropped in on Saturday at the Stowe Fabric & Yarn shop, it had a comfortable yarn room which was slightly smaller than the size of the “A Good Yarn” in Baltimore. 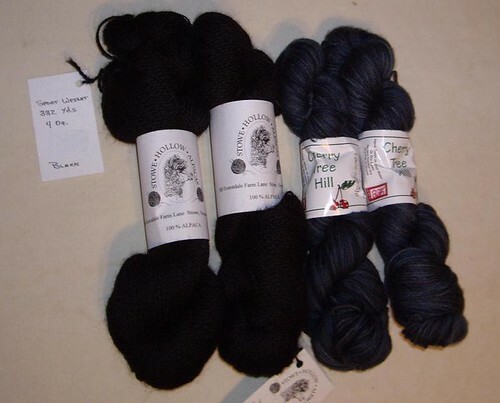 It was primarily stocked with Cherry Tree Hill (CTH) yarns, but there were suitable amounts of Berroco, Malabrigo, Great Adirondack, and a FABULOUS local undyed alpaca which felt incredible to muss up touch. There also was Frog Tree’s pima blend, which I had never seen, so I was able to get up close and personal with some. What’d I miss? You are allowed “a stashalong” day where you can buy yarn and not violate the 12 step?? Fill me in, or maybe I should go back and read the rules. I used to go to Stowe each year to eat pancakes and chowder. I hate skiing and left that up to the others. 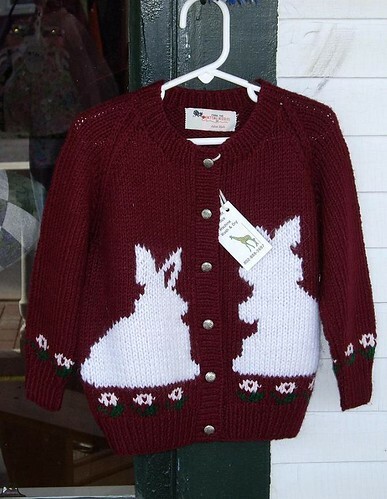 I remember eating lunch at the Trapp Family Lodge and doing all the tourist stuff – horse drawn sleigh etc. 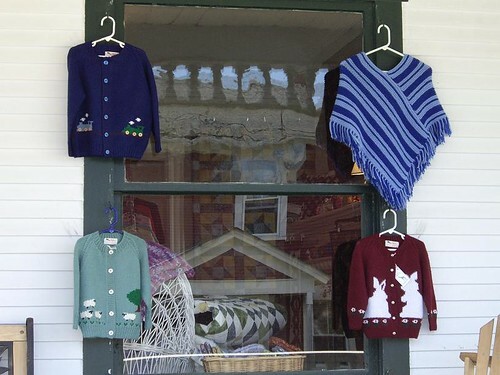 I wasn’t as into yarn then (it was during my 20s). Sounds like a good trip if nothing more than for the alpaca you found. All the photos from your trip are so fabulous! The blue sky … the forest, the trees … just wonderful.